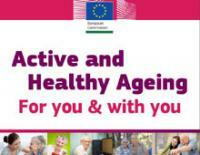 'Active and Healthy Ageing - For you & with you' is a new brochure published by the European Commission to highlight the challenges and opportunities of today and tomorrow related to demographic ageing in Europe. Prepared by the Directorate-General Communication Networks, Content & Technology, within the Digital Agenda for Europe strategy, the brochure presents a selection of EU-funded IT solutions developed to improve the health and quality of live of seniors. The publication also calls society to be active & proactive towards change and innovation and support healthy ageing smart innovation with ICT technology. 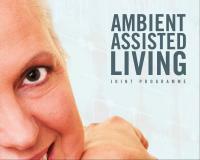 'We are already on the right track by being aware of the ageing challenge and by realizing that change is needed. Technology helps only when we commit to using it', it stresses. "Long Lasting Memories", "Rosetta", "CommonWell", "CompanionAble", "Dreaming" and "Wiisel" are the solutions presented in the six-page document presented in January 2013. The Council of the European Union adopted on 6th December the Guiding Principles for Active Ageing and Solidarity between Generations, which should serve as a checklist for national authorities and other stakeholders on what needs to be done to promote active ageing beyond the European Year 2012. Each of the 19 Guiding Principles, jointly agreed by the Social Protection and the Employment Committees, relate to one of the three dimensions of active ageing promoted during the European Year: employment, social participation and independent living. The Guiding Principles, which are annexed to the Council declaration on the European Year 2012 (17468/12), are not prescriptive. It is a task of national governments, regions, cities, companies, trade unions, civil society organisations and others to make use of them according to their specific situation and challenges. The European Council invited Member States to make healthy ageing across lifecycle one of their priorities, with a social and equity approach. The promotion of strategies aiming at combating risks factors, such as tobacco use, alcohol related harm, illicit drugs, unhealthy diet and lack of physical activity as well as environmental factors are essential. 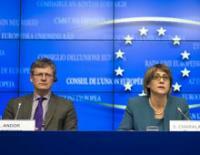 To access the Council conclusions, click here. To access the Council declaration including the 19 Guiding Principles, click below. 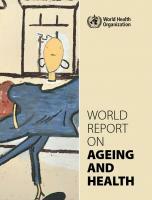 Societies have a responsibility to invest in conducive frameworks to allow individuals to live and age actively. Such investments can take place in the prevention and health care sectors, in education and labour markets. At the same time, citizens should be able to rely on a supportive infrastructure in case of real need and frailty. The publication reflects the contribution of the United Nations Economic Commission for Europe to this debate and paves the way for further elaborations on the issue.